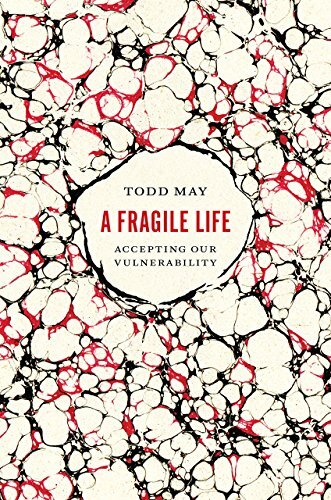 The main argument in Todd May's book, A Fragile Life: Accepting Our Vulnerability, is that most of us would be unwilling to choose an invulnerable life even if we were given the opportunity. Of course, we all understand that in reality, it is impossible to live a life where we avoid all sources of pain. In his book, the author proposes that we should accept our vulnerability and acknowledge that the suffering is part of life. The question is: How do we develop that acceptance within ourselves? It is doubtful whether May is correct in his assumptions regarding what most people might choose or might not choose. When supporting his supposition, he references Buddhism, stoicism, and the thoughts of Tolle Eckard, an extremely popular spiritualist currently. Many people might find the opportunity to live an invulnerable life, one in serenity or full awareness, an attractive option. However, this possibility seems highly unrealistic for the majority of us if we take the philosophical perspective seriously. Still, regardless of the truth regarding this particular claim, May's book can be a useful companion for people who want to reflect on their lives. It is full of examples and is written for a broad audience. The book starts by setting the scene regarding the inevitable vulnerability inherent in our lives. It then moves on to discuss to what extent having a project is required to provide meaning for our lives. His suggests that, "understanding how we can suffer requires that we first understand how we live." May loosely follows the ideas of Bernard Williams with his suggestion of a meaningful project since it is embedded in a net of social practices such as rules and norms. By living our lives according to a meaningful project, we encounter some of the first potential problems. He writes that , "many of the ways we are vulnerable to sufferings" comes from the various things affects us negatively, that is, hinder "our ability to engage with our projects." The two opening chapters of the book provide excellent examples of the problems that result from vulnerability as compared to invulnerability. Next, May introduces various philosophies that claim to provide us with a model of how to live without suffering: Buddhism, Taoism, Stoicism, Eckard, and Epicurean. He describes how psychological and physical pain are connected for example. Then, he mentions that one of the challenges when it comes to suffering is whether or not we are capable of accepting the situations we cannot control. This section begins to sound like a book for consulting managers, but it does present an easily understood summary of these various philosophical schools of thought. One of the guiding ideas links the introduction and his conclusion is how our past has led us to who we currently are and where we are in our lives today. The question is whether we should affirm our past or just simply accept it. May favors the latter approach. He uses the example of the Holocaust to illustrate his point. This is not an event we would want to affirm. Instead, he suggests that we accept that it happened neither affirming nor refusing it. Similarly, we should try to accept our past without necessarily assigning it a positive or negative value. May's book focuses on the fundamental question of how to live a life worth living with or without suffering. The answer that May provide us hinges on acceptance. We should learn to acknowledge our suffering. Acceptance, he writes, "does not render us immune to our suffering. It does not take us beyond our fragility. But neither does it leave us bereft. To accept the contingency of things and the quiet sadness that may go along with it is not to lie prostrate before the world. Rather, it is to embrace a perspective that can, with luck, help us find a path." The book deals with an interesting existential issue. Even though he uses personal stories as well as the experiences of others, the book never truly had an effect on me. It lacked the power of classical existentialist work, which really cut into my flesh. Perhaps, May's conclusions were too banal. While I do feel that the invulnerable philosophies presented were relevant, the argument could have easily worked even without their reference. The distinction between a life with or without suffering is already clear enough. I would rather that he strengthened the argument regarding why it might be "attractive" for our lives to include suffering. For example, he could explore how we might develop creativity and artistic expression in an attempt to overcome our miserable lives. Still, the book would be useful for newcomers to philosophy in my opinion. Also, readers who like a more conversational style would enjoy this book. The conclusions are not dramatic, but they might generate a new interest in the reader for further study of the existential philosophies that May summarizes in passing.